As far as commodities go, coffee is second only to oil in the global marketplace. In America, it is the beverage of choice as evidenced by the fact that we are the largest consumers of coffee per capita. However, how did we get here? Moreover, how has the coffee culture in this country evolved over the years? It all started with the American Revolution. Americans were largely tea drinkers during the colonial period. The vast majority of colonists were of British heritage, and imported tea was relatively inexpensive. Then came the Boston tea party, when revolutionaries overran a fleet of ships in the Boston harbor in 1773, throwing an entire shipment of tea overboard. It was a protest against the unpopular Tea Act, which had imposed a tax on tea and gave the East India Company a virtual monopoly on tea imports. From that point forward, consuming British tea was considered unpatriotic in the colonies. And because domestic tea production was almost nonexistent, coffee emerged as the replacement hot beverage. It has never looked back. America’s newly found freedom after the Revolution resulted in a culture desperate to break all ties with its imperial past. Coffee was now seen as an American beverage while tea was relegated to British loyalists. This gave rise to the cultivation of coffee here in the States and the start of our ‘official’ coffee culture. With increased cultivation on American soil, the price of coffee began dropping through the early 19th century. Creative individuals also figured out new ways to roast, grind, and blend coffees to achieve different kinds of flavors. Slowly but surely, coffee was being transformed from just a hot beverage into a social drink. Coffee houses began opening in some of America’s largest cities, albeit in small numbers. The Industrial Revolution is responsible for catapulting coffee into its position as the world’s number two commodity. With industrialization came the ability to roast and grind coffee on a large enough scale to make it affordable for anyone. The Industrial Revolution also brought us mechanical grinders, electric percolators and, eventually, the fancy and highly technological equipment we use today. The modern coffee culture we associate with the chic, urban coffeehouse can be traced back to Seattle in the early 1970s. The first Starbucks opened in 1971 amidst a number of competitors in the city’s Capitol Hill district. As a city with a cutting-edge technology industry and plenty of young, affluent residents, it was only natural that Seattle’s coffeehouse culture would spread across the United States en masse. Even our 21st-century love of gourmet coffees and designer flavors traces its roots back to Seattle. Galaxie Coffee is thrilled to be part of an industry that is so vital to America’s culture and economy. As a leading office coffee service provider in the New York area, we do our best to stay on the cutting edge in order to meet the demands of our customers. With the arrival of November and the annual holiday season, consumers are looking at closing the books on 2014 and starting afresh in 2015. We are expecting some interesting changes in the coming year for the coffee industry. Some of those changes are expected, others will be a surprise. One thing will not change – America’s love of coffee in any form. Coffee prices reached a nearly three-year high last month thanks, in part, to severe drought in Brazil that has taken out nearly 10% of the coffee crop. Brazilian government officials say next year’s crop could end up being weak as well. The news has pushed the price of coffee futures ever higher, which, in the end, results in higher prices at the retail level. Unfortunately, we will all be paying more next year for our favorite caffeine beverage. Throughout 2014, there has been a noticeable increase in the use of single cup brewers both at home and the office and a correlating decrease in the use of drip brewers. Surveys released over the summer suggest that trend will continue into 2015. People love single cup brewers because of the convenience and flavor choices; they are willing to pay more for both the equipment and coffee in order to make brewing as convenient as possible. We expect the demand for single cup machines to continue rising in the office coffee industry, though not as quickly as the demand for them in homes. Companies paying for office coffee programs are less likely to absorb the extra cost of single cup brewing. We believe traditional drip brewers will remain strong for office coffee. In fact we are seeing a resurgence in brewing pots of coffee in offices due mainly to taste preferences and sustainability issues. Call us at 631-694-2688 to talk about this and Kitten Coffee, our new high-end coffee product. The National Coffee Association says the daily consumption of espresso drinks has risen from 13% to 18% over the last year. They expect that trend to continue and so do we. Espresso is the new, trendy coffee drink among those who use their choice of beverages to make a statement. The only question is how much consumers will be willing to pay if retail prices spike in response to demand. 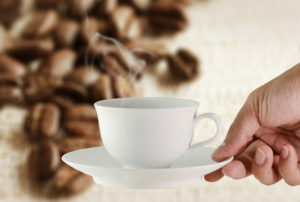 The coffee industry horizon also looks favorable to flavored coffees, nontraditional creamers, and better pairings of coffee drinks and pastries for morning commuters. It does not look good for straight, non-flavored coffees and the neighborhood coffee shop. As far as coffee shops go, today’s coffee drinkers are more about drive-through and less about sit-down and long lines. At Galaxie Coffee, we will continue watching the trends in order to provide the best possible service to our customers. We offer office coffee, bottled water, and a full range of juices and teas to customers throughout the New York area.